Chronic back pain is on the rise in a big way. Recently, experts went on record to say that 80% of Americans will have back problems at some point in their lives. Anyone that works on their feet or works at a desk likely has a sore back and one of the best things you can do about it is provide your back with the support it doesn’t get during the day when you go to sleep at night. If you’re not sure where to start in finding a mattress that is best-suited for back pain, these ten mattresses are our top picks to get the best sleep and wake up ready to tackle the day pain-free. All mattresses were ranked based on the quality and value of the product. 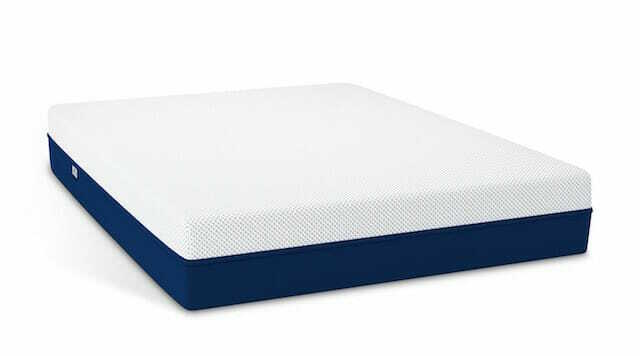 This 12” gel memory foam mattress from Dreamfoam is one that isn’t going to be too firm or too soft, it contours to your body to provide you with top-notch pressure relief and support throughout the night, thus relieving back pain; this contouring also ensures proper alignment of the spine no matter what position you prefer to sleep in. Some memory foam mattresses can sink in too far or hold too much heat, the 1.5” gel memory foam layer sleeps 33% cooler and the 2.5” of memory foam combined with the premium base foam will help you sleep comfortably without feeling like you’ve sunk into a hole. The Bear Mattress is engineered with Celliant’s Infrared Yarn Technology which is recognized by the FDA. It helps you to recover faster and helps promote your overall well-being. That makes it a great option for back pain. Another great feature of the mattress is that Bear uses a proprietary Cooling Graphite-Gel Memory Foam that is up to 7x cooler than comparable foam covers. This is a mattress that was specifically designed to promote wellness by helping your body to recover and rest so back pain can be a thing of the past. The Amerisleep AS2 is a medium-firm 12” mattress with a high-peformance Celliant cover with 13 thermoreactive minerals that convert your body heat into infrared light and drastically improve your sleeping experience. Beneath that is Amerisleep’s Bio-Pur foam that is extra breathable to keep you cool. The best feature of the mattress is the Affinity layer. This layer is made of an ergonomic transition foam with Surface Modification Technology. This means that there is extra support in certain places like the hips and shoulders, providing premium pressure relief. The Layla Mattress boasts that it is the only copper-infused mattress with flippable firmness. One side of the mattress is soft and the other is firm so that you can switch it up any time you’d like. Copper-infused memory foam is antimicrobial, transfers heat rapidly, and offers deep compression support. The copper cells in the foam compress and interact with one another in such a way that you’ll get better support in the areas that your body may sink more, resulting in a mattress that contours to your body in any sleeping position. 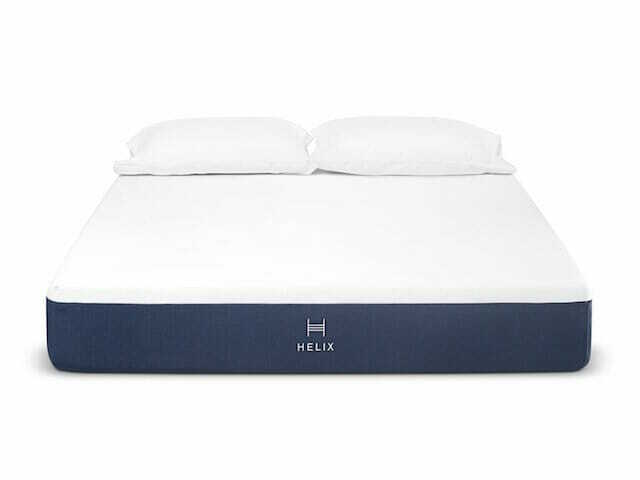 The Helix Mattress is one of the most unique on this list because it is tailored precisely to your needs. People report better and deeper sleep after getting their Helix. Research shows that Helix mattresses improved REM sleep cycles, back health, and comfort overall. The questionnaire asks your height, weight, preferred sleeping position, and asks about any potential points of pressure, if you get too hot at night, and more. 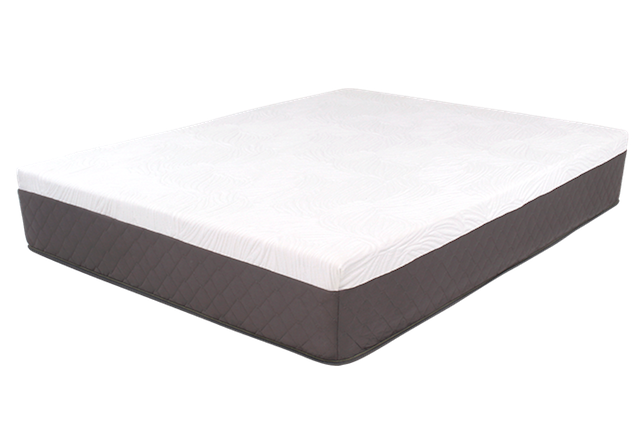 Helix uses hundreds of pocketed coils for premium weight distribution and covers that layer with high-grade polyfoam and their proprietary Dynamic foam to perfect each mattress to your individual needs and preferences. The Casper mattress is a force to be reckoned with in the sleep world. The brand’s original model boasts over 40,000 customer reviews. It features zoned support so there is softer foam under your shoulders and a firmer support layer underneath your hips and core where your body tends to be heavier. The open-cell foams that they use throughout the mattress allow plenty of hot air to escape. Casper customers say that the mattress truly feels like a cloud. The research design team has engineered Casper mattresses to provide you with the perfect blend of comfort, support, and alignment without creating a mattress that is too heavy or too hot. Read more about Casper here. Nectar mattresses are perfect for any sleeping position because they have been designed to provide you with great comfort and support. Nectar uses quilted gel memory foam to provide loft and increased air circulation while cradling your body perfectly. 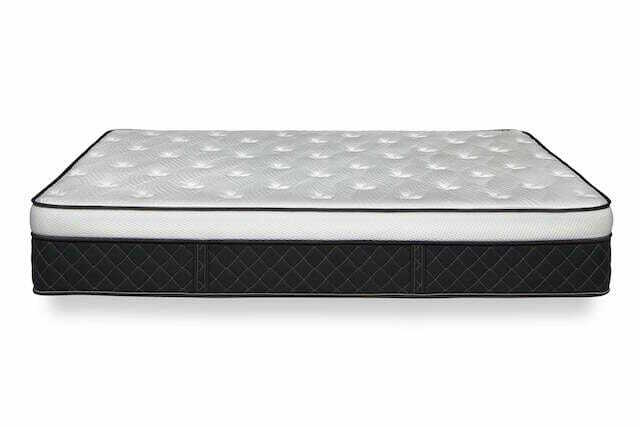 The combination of gel memory foam and adaptive hi core memory foam distributes your body weight evenly without compromising rebound and bounce that supports your body as you sleep. This is a medium firm mattress; it also features a Tencel cooling cover that is bed bug resistant. 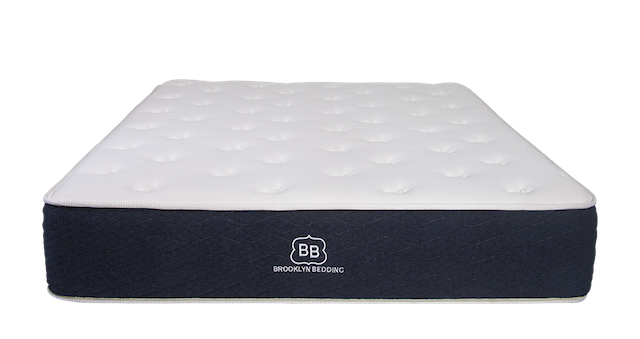 The Brooklyn Signature is a hybrid mattress that has been engineered with a base of over 1,000 coils that provide your body with strong support and help eliminate motion transfer. On top of that layer, you’ll find the transitional foam TitanFlex that ensures deep compression support to relieve pressure in the areas that your body tends to sink more. 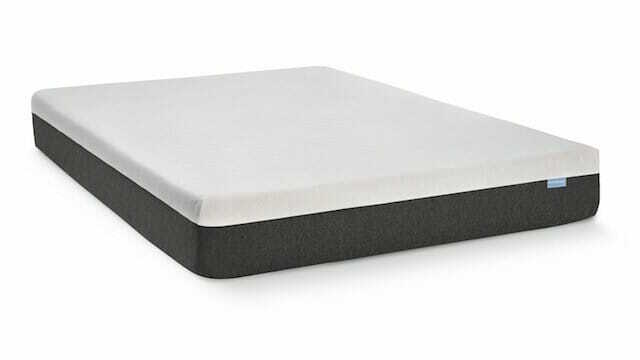 It is topped off with a layer of foam that has been designed to combine the contouring comfort of memory foam with the responsiveness of latex. 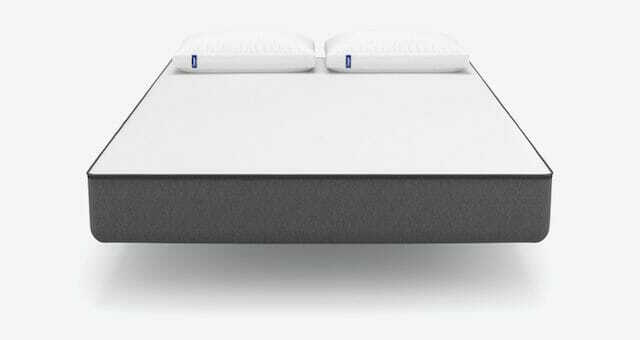 The Alexander Signature Hybrid by Nest Bedding is a hybrid mattress made from a mix of pocket coils and memory foam. The coils create an extremely supportive base which is then covered with a layer of support foam and then a layer of copper-infused foam. This is one of the most supportive mattresses that are currently available, which is great for back pain, but the top layer of gel-infused memory foam and a thermic phase-change fabric will keep you cool and contour to your body to elevate your sleeping experience. 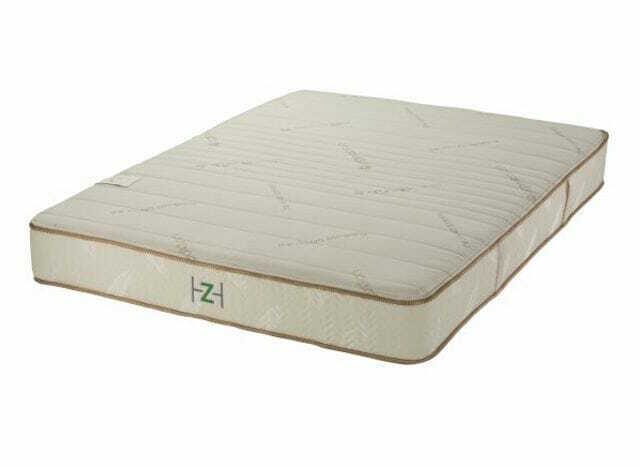 The Zenhaven mattress by Saatva is a durable microbial-resistant latex mattress. The core is covered with a “5-Zone” comfort layer that offers crucial zoned support. A flame-retardant and moisture-absorbent barrier made from organic New Zealand wool covers both sides of the mattress, which is covered with quilted organic cotton. This is also a 2-in-1 mattress. One side is a luxury plush softer side and the other is a gentle firm that provides you with a little extra support if you should need it. 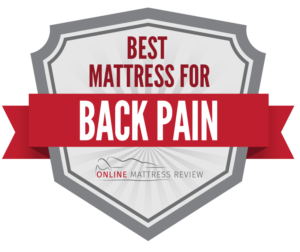 This brings to a close our our ranking of the top mattresses for back pain. We hope it helps you make your next mattress choice! What makes a mattress good for back pain? This will vary from person to person but the best mattress for most back pain situations will be medium-firm and conform to the natural curves of the human body. A mattress that is too firm can create too much pressure in certain spots. A good mattress will feel like you’re floating in air and remove the consequences of gravity. It will relieve the pressure that causes your nerves to fire. There are many causes of back pain. Many of the causes are spine related: a misalignment of the joints, nerves and discs of the spinal cord area. Herniated discs and bulging discs are common sources of spinal cord related back pain. An additional common cause of back pain are strains, sprains or tears of tendons, ligaments and muscles. These are often caused by lifting heavy as in weighlifting. Sitting too often, being overweight, muscle atrophy (not keeping your back muscles strengthened), posture, and looking down at your phone screen can all contribute to back pain.